This book examines and compares the emergence, development and impact of the party systems in post-colonial India and post-apartheid South Africa. It sheds light on the crucial role and function of party systems in democratising developing countries. Although often described as political miracles or empirical anomalies, both countries actually figure prominently in party system and democratic theory due to their regional importance and the important role the party system plays in their political trajectory. The author employs a diachronic comparison of the two party systems, with a distinct focus on the role of party agency in the shaping and maintenance of one-party-dominance and on the role of the two party systems as independent variables. 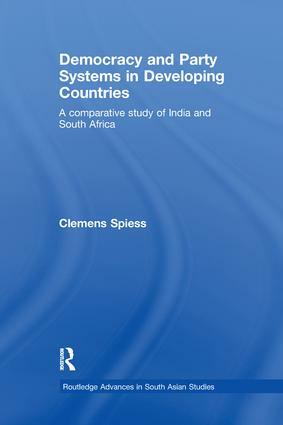 Highlighting the similarities and differences between the two systems, he examines whether the lessons learned from the Indian experience in terms of the function and effects of the country’s post-independent party system and the role of party agency therein are applicable to South Africa. This book will be of interest to academics working in the field of democracy, comparative politics and development in general, and South Africa and South Asia in particular.